Hello Neighbor partners recently resettled refugees with Pittsburgh families to share future outings and activities that help welcome new people into the community. Two families pose for a photos after being matched through Hello Neighbor, a nonprofit that partners recently resettled refugees with Pittsburghers willing to help mentor and share community-building activities. Whether it’s participating in a match program to socialize with immigrant families or lending a helping hand at a soup kitchen, Pittsburghers are volunteering at a nationally recognized rate. Nearly 38 percent of local residents volunteer, placing the city in seventh place nationally for its collective rate of volunteerism. Sloane Davidson is the founder and CEO of Hello Neighbor, which was inspired by sharing her holiday table with a recently resettled family from Syria. Today, Hello Neighbor pairs volunteers with the newly resettled to participate in social activities and outings. Davidson says the volunteers help create a sense of community for refugee families. Riley Baker, director of the Retired Senior Volunteer Program through Pittsburgh Cares, explores the cross-sections of Pittsburgh taking part in this volunteerism. RSVP caters to participants ages 55 and older, offerning resources for volunteering, including information about opportunities and assistance with background checks and travel costs. Baker says the identity of volunteerism in Pittsburgh has roots in neighborhood churches, but is evolving thanks to generational—and techonological—changes. 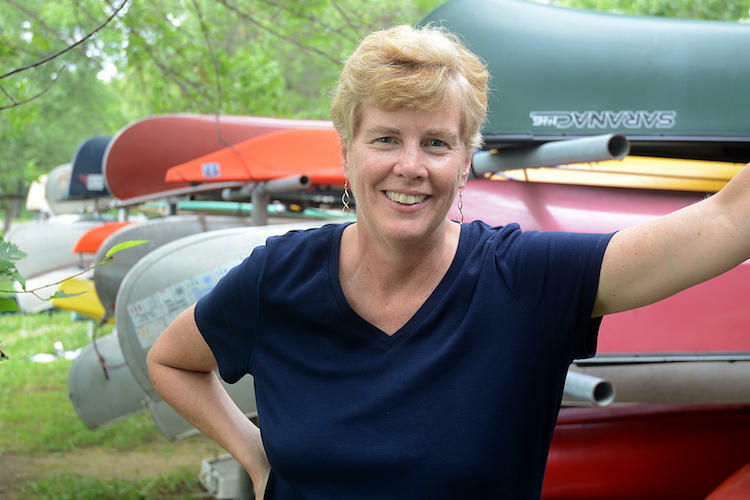 Elsewhere in the program, Jayne Miller talks about her goals as the newly installed president and CEO of the Pittsburgh Parks Conservancy. Miller moved to Pittsburgh after leading the Minneapolis Park and Recreation Board to multiple No. 1 rankings. As more people choose to live in urban areas, she says neighborhood parks become more important as a source for higher quality of life. And the Northside Youth Athletic Association's football teams and cheering squads boast more than 300 kids. Association president Gene Goodwine tells WESA’s Elaine Effort that the organization teaches kids a lesson he wishes he had learned as a young person—the importance of being a student first and athlete second. Amazon Passed On Pittsburgh, But How Will Its People And Priorities Change The Cities It Chose? Amazon officially dumped Pittsburgh as a potential home for its second (and third) headquarters this week, opting instead to split its $5 billion in promised investment between Virginia and New York. Broughal Middle School Principal Rick Amato recently encountered a student wearing his jacket inside the school building. Three students with connections to Pennsylvania are among the latest group of U.S. Rhodes scholars heading to Oxford University in England next fall. Harvard senior Brittany Ellis, University of Pennsylvania senior Anea Moore and University of Pittsburgh alumna Lia Petrose were named as recipients of the prestigious scholarship Sunday. A bipartisan group of governors, including Pennsylvania’s Tom Wolf, is calling on federal regulators to look at unifying the nation’s power grids.